A regular 12-gon with center O is inscribed in a unit circle. 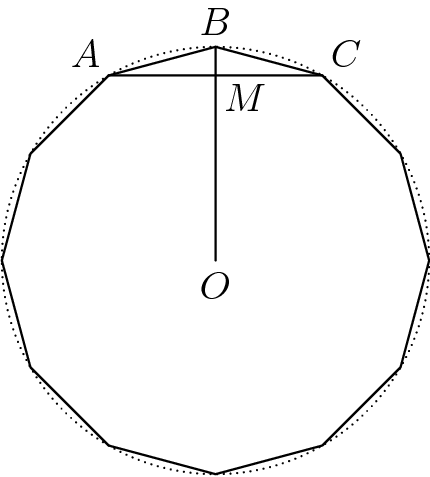 Let A, B, C be three consecutive vertices of the 12-gon as shown below. Let M be the intersection of AC and BO. Find AM. because there are twelve sides, you get twelve secotrs with 30 degrees each. this means triangle AMO is 30-60-90 with a hypoutenuse of 1.
this means AM is 1/2. Thanks so much! Now I understand it! !